Maybe you’ve heard: new product launches are often unsuccessful. Some studies state failure rates near 95%. Successfully establishing a new product or product innovation takes meticulous planning, development, and execution. To increase your chance of success, start with the following nine steps to take your idea from conception to launch. New product innovation begins with a problem. What needs are currently unmet in the industry? The ensuing idea born from that need can be an invention, or more often, an innovation. To determine your industry’s greatest needs, consider market research. First examine the most common complaints, questions, and shortcomings of existing products. After aggregating this information and having internal conversations, interview target clients for a new, personalized perspective on their pain points and what existing solutions they’re already using. Does it solve a need that is important to customers? How much are customers willing to pay for a solution? Who is the target audience? Is there enough potential volume to justify your investment in design and manufacturing? With the problem clearly defined, what does a unique solution look like? Conduct extensive competitive analysis and intensely assess how a new product or product innovation tops those currently available to the market. Introduce the product innovation to others to test its potential viability and impact. The best way to accomplish this is to produce your minimum viable product. Then start internally with fellow engineers, department heads, and technical or field experts. Eventually you must involve the target customers you already have a relationship with. Don’t forget dealers and distributors if appropriate. Throughout the process, polish both the idea and the pitch. Both are fundamental in gaining approval from internal decision makers, and ultimately, buyers. Document the anecdotes from your refining process; this will help with the marketing later on. Prototyping reduces uncertainty and decreases risk at launch. By first discovering customer needs, developing solutions individually, brainstorming with a group, and even bouncing ideas off of others, your concept should be ready for prototyping. What is the best medium or material for the final product? Which elements are critical to the final product, and what peripheral characteristics are less necessary? Does it have the necessary durability to withstand the elements it will face – vibration, salt, pressure, etc.? This is where the hands-on work happens. For demonstration purposes, a handmade or 3D-printed physical model may suffice. Other products may require a CAD design or even a working prototype. Refine the prototype to the point where it is functional and can be tested in-house. Imitate the projected production process as much as possible to catch design flaws or areas to improve the end-user’s experience. As you enter into the launch phase, issue the new product to trusted customers and partners for beta testing. Ask beta testers to submit feedback to ensure the team is including any needed upgrades to the design during the final manufacturing process. This model should function as closely to the desired end product as possible. Manufacturing will use this tested prototype as a guide to create working models. While it may seem overly costly to create workable prototypes, beta testing significantly decreases costs. Rather than producing hundreds or thousands of final products with major flaws, problems can be identified prior to mass production to help your team iterate quickly and cost effectively. Beta testing results should help you refine a product and determine how to efficiently produce it. Once ready, prepare for production. Though the potential buyer and end user should be kept in mind throughout the entire innovation process, marketing must become involved and work conjointly with manufacturing to perfect working models that will resonate with the target buyer. Once the teams agree the product effectively meets potential customer needs, marketing will identify the market and sales forecasts to align production with anticipated final forecasts. During this manufacturing planning phase, all aspects of production must be ironed out, including manufacturing suppliers and partners, supply chain, distribution methods, packaging, and staffing. How you’ll set-up and manage all aspects of production. What manufacturing partners (if any) you’ve selected to help during production or to drive post-launch success. How you’ll work the product into your supply chain after launch. How you’ll package the product, both literally from a branding standpoint and figuratively from a marketing and sales perspective. What methods you’ll use for distribution. Finally, have adequate inventory of all sizes and configurations in stock and, if appropriate, on the shelves of distributors or dealers. Don’t make the classic mistake of prematurely launching a product with only a few sizes available. At this stage, marketing should devise campaigns meant to build product awareness, generate leads and create demand. All product literature, sales collateral, distributor and customer service training, lead generation materials (trade shows, direct marketing, advertising, etc.) must be organized and produced prior to product launch. Be sure to involve your sales team and channel partners in the creation of these materials so they embrace and use them. Inadequate preparation of the sales channels is one of the key causes of a failed product launch. 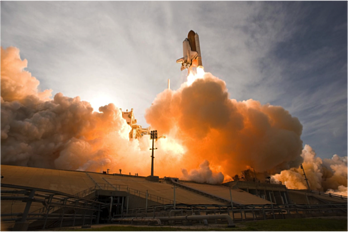 One of the most exciting, conversation building moments for a company is a product launch. Authentic enthusiasm in the months after a product has been launched is nearly impossible to create. Marketing, selling, and customer service is not only the job of customer-facing jobs. When product questions come from the client, all teams (e.g. marketing, sales, customer service, engineering) must unite to provide answers and increase customer satisfaction. Manufacturing and engineering, in particular, may need to be available to fix issues or respond to concerns from early adopters. Depending on your business, the development and launch of a new product may take years. Remove the ego and admit areas for improvement. Is there a consistent question or complaint coming from buyers? How will you improve or evolve the current product to brainstorm next-generation development? Consider how these questions can be addressed in the next iteration of the product. Is Your Company Excelling At Product Development? 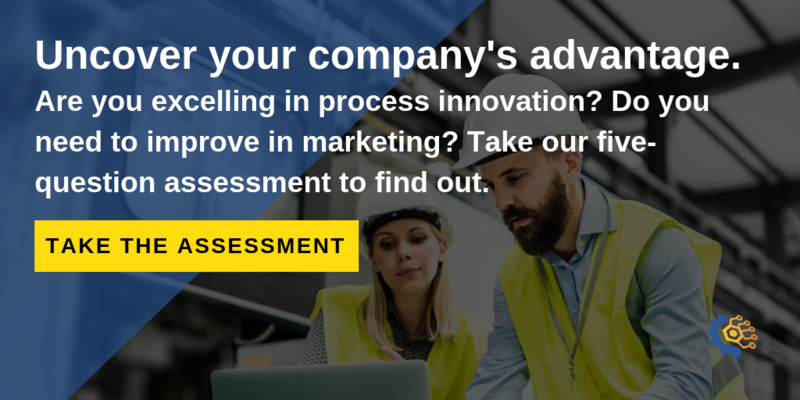 Our short, 5-question Manufacturing Advantage Assessment can help you understand if product development is one of your company's advantages or weaknesses. Get your personalized results to understand where your company is excelling, plus areas that may be hampering your growth.